Learn more about the Chicago River Blue Awards! 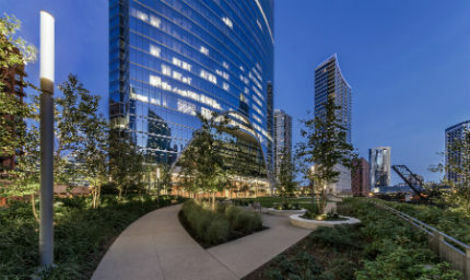 For eight years, Friends’ Chicago River Blue Awards program has encouraged and rewarded developments along the river and throughout the watershed that best exemplify sustainable design for people, wildlife, and clean water. The projects are judged by an independent multi-disciplinary jury of planning, consulting, engineering, academic, legal and policy professionals concerned with river-sensitive design. Winners of the 2018 Chicago River Blue Awards were honored at Friends’ annual gala, the Big Fish Ball, on Tuesday, June 5, 2018, the awards recognize the work of developers, architects, municipalities, planners and others for their creative and river-sensitive approaches to projects within the Chicago River watershed. 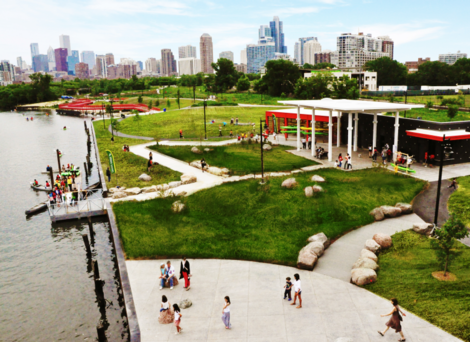 Since 2010, Friends has recognized 32 projects within the Chicago River watershed for their river-sensitive design principles. A complete list of past winners can be found here. 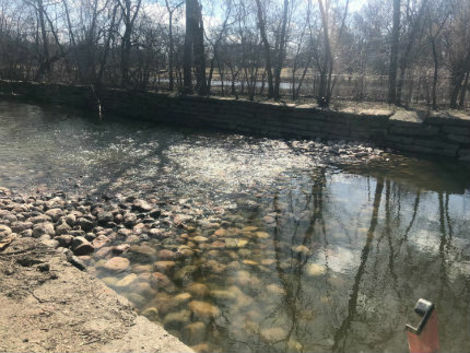 Flowing and meandering through urban and suburban communities, forest preserves and parks, industrial and commercial districts, as well as the heart of downtown, the 156-mile long Chicago River connects millions of people to nature. It provides wildlife a place to live, considerable recreational opportunity, and an ever-increasing diversity of economic benefits derived from the waterfront. As a result, the Chicago River is emerging as one of the best opportunities for improving quality of life for people who live and work in the greater Chicago metropolitan area. However, the pressure to develop the river’s edge in order to maximize economic opportunity also creates potential to destroy the magic the river provides. It is critical to continue focusing on and comprehensively understanding what kinds of actions will protect the river and its health while providing public access. 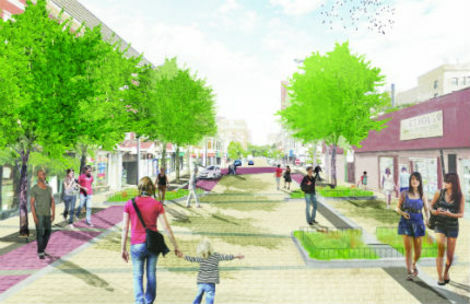 It is also imperative to adopt sustainable land use and development techniques and address how our water resources are managed throughout the Chicago River watershed to provide a systematic approach for growth. How water flows in, on, and through properties impacts the quality of the river. Both on-site management and water conservation matter, whether it’s along the river’s banks or from miles away. To address these issues, Friends of the Chicago River developed Chicago River Blue, a campaign aimed at educating, encouraging, and rewarding developments that take people, wildlife, and clean water into special account. 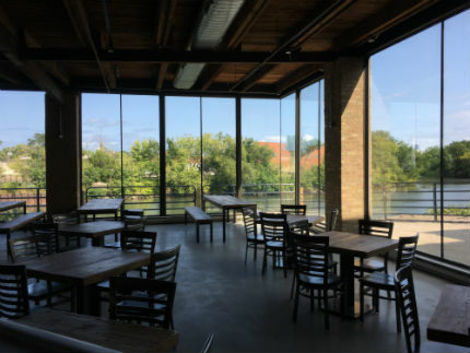 We provide guidelines and resources to our panel of planning and design experts, then hold the annual Chicago River Blue Awards ceremony to honor those whose work exemplifies the "Blue Principles for River Design". 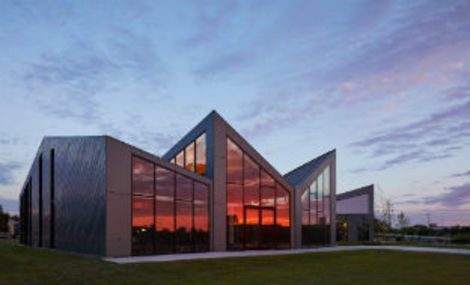 Photo: Ping Tom Memorial Park Boathouse, a 2014 Chicago River Blue award winner.